LatinaLista — Frustration and disappointment continue to rise among the Latino community with the Obama administration over its policy for deporting undocumented immigrants. 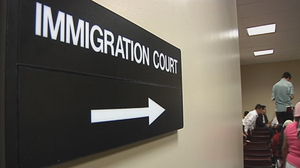 In spite of a much publicized announcement earlier this year that those immigrants not considered a national security threat nor had a criminal record would be spared deportation, the opposite has occurred in immigration courts across the country. The seemingly contradictory policy is frustrating not only affected immigrants, their families and the larger community but it’s taking a toll on immigration lawyers too. One immigration lawyer, Bryan Johnson, is speaking out. A report by TRAC released on December 5, 2011 reveals that the Obama Administration has been blatantly misrepresenting deportation statistics in an effort to minimize the ugly fact that he is deporting non-criminals in record numbers. In deportation proceedings initiated during July-September 2011 by the Immigration and Customs Enforcement (ICE) in the nation’s 50 plus immigration Courts, only 7,378 individuals – just 13.8 percent of the total – were charged with having engaged in criminal activities. Of those targeted, the proportion of alleged “criminals” is down significantly from the already low level of 16.5 percent during FY2010. There was a greater than 70% increase in the deportation of those with criminal records from FY2008 to FY2010, and a decrease of those without criminal records. Today more than half of all removals are people with criminal records. 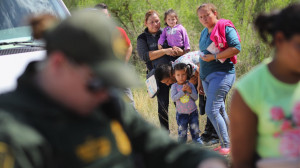 And among those removed who had no criminal records, more than two-thirds were either apprehended as they crossed the border, were recent arrivals, or were repeat violators of immigration law, meaning that they had previously been deported. The findings also are hard to reconcile with ICE’s recent press statements that claimed that during the past year the agency had targeted a large and increasing number of convicted criminals for deportation. Unfortunately, while the agency could easily clear up these apparent discrepancies it has chosen not to do so. Indeed, for twenty months, in clear violation of public disclosure laws, ICE has persisted in withholding from TRAC the case-by-case data TRAC requested under FOIA that the agency maintains on these same court proceedings — information precisely parallel to what the Department of Justice already determined must be released to the public from its own files. The records ICE is withholding would show just which ICE programs — such as Secure Communities or others — have contributed to fewer alleged criminals being targeted for deportation in court proceedings. The data would also allow the public to judge whether ICE’s actual activities match ICE’s announced policies to target serious criminals, and those who pose threats to public safety, as well as to better monitor how the agency exercises prosecutorial discretion in whom it seeks to deport. 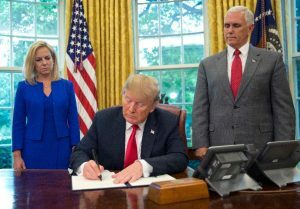 In addition, TRAC contacted ICE’s Public Relations office on November 7, 2011 asking for explanations of the figures given in the agency’s October 18, 2011 press release that claimed the agency’s FY 2011 accomplishments closely matched announced ICE priorities. At a meeting with ICE officials November 10, the agency promised to promptly provide answers to a series of TRAC questions that asked for details backing up the agency’s claims. Again and again, however, the promised answers did not materialize. ICE’s Public Affairs office continues to say the promised answers will be forthcoming. Regardless of whether one is an advocate for comprehensive immigration reform, the stark discreprancies between what this report shows and what the Obama administration says should be of concern to everyone. For example, is the administration overtly lying to the American public? Does ICE really prioritize deportations, or do they randomly deport whomever may come across their path? The hard facts – those revealed from Department of Justice Records rather than the voice of bureaucrat – suggest the worst: the administration is lying to the public and simply deporting as many people as it can, irrespective of their own purported rationale for focusing resources on the biggest and baddest illegals. Bryan Johnson, Esq. is Partner at Amoachi and Johnson, PLLC, a New York law firm dedicated to the practice of U.S. Immigration Law. thanks for the report..its nice to see Latinos being objective and critical once and awhile..we need more of it..